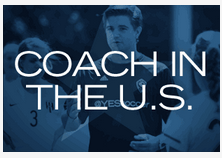 A Coach In The U.S. spotlights international coaches who have made successful careers in the U.S. with YESsoccer. Based in Connecticut, Jim Thwaites tells YEScoach ID Director Chris Andrew how he made it in America. Tell us about your background and how you got into coaching? My local Sunday league club Leamington Hibernian had a fantastic support structure for its players that allowed young athletes to gain coaching qualifications such as their FA level 1 and 2 but also aid them through their Refereeing badges. With the help of the club I was able to obtain my FA level 1 and level 2 and from there I began to work with the U7, U8 and U9 teams. Later on, I became a part of the young leaders program for the Birmingham County FA and was lucky enough to work alongside some very experienced coaches such as Marieanne Spacey and Mark Walters. 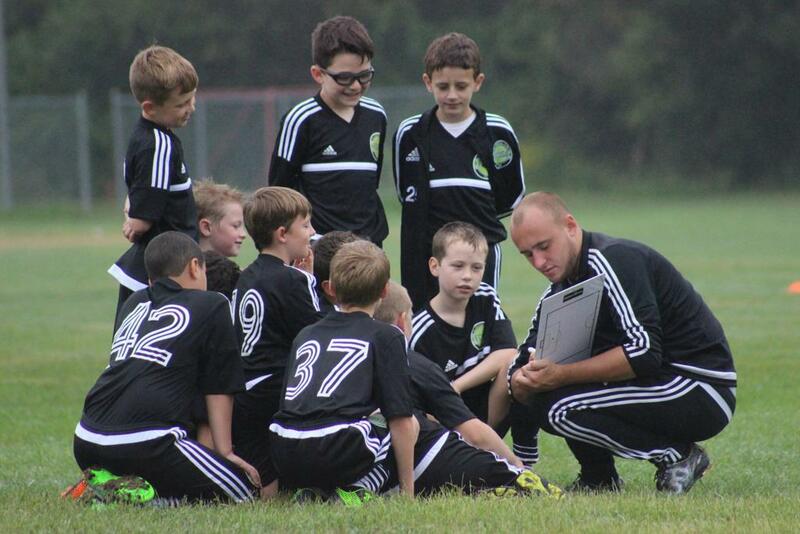 With their help I was able to envision a career as a professional soccer coach. Tell us about your current club, role and responsibilities? The aim of South Windsor Soccer Club is to provide a fun and safe learning environment for all players from recreational soccer to High school travel, whilst also aiding each individual to reach their playing potential. As Director of coaching I am there to aid and assist our coach development, we have established a number of coaching clinics over the past Spring season both on and off the field as part of our ongoing coach education program. We have also created our clubs own curriculum from U4 through U10 that highlights the areas of development specific for each age group helping our volunteers to deliver a consistent level of coaching across the entire Recreation section of the club. What is next for you and your own personal development in the U.S.? I am looking to continue to grow as a coach, I am looking to obtain my USSF qualifications to compliment those I have already gained in the UK, However as a coach I believe you grow and gain new experiences every day and can take a positive from every situation the game puts you in. 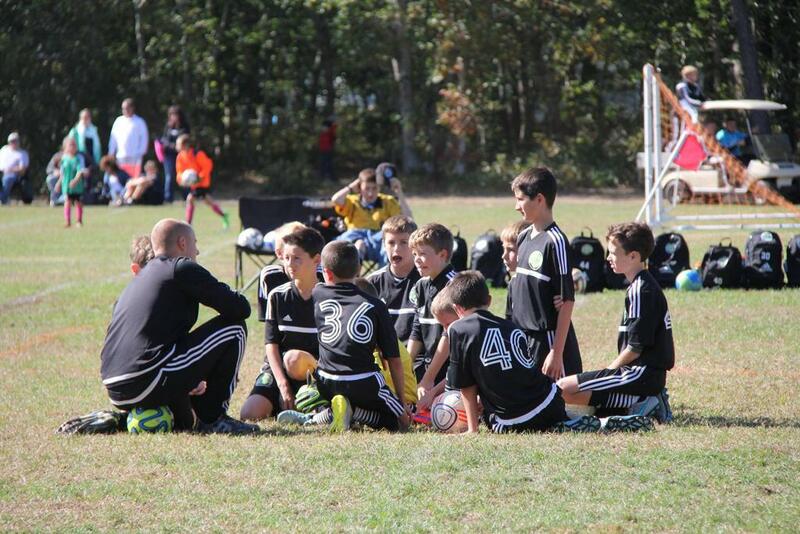 What advice would you give to a coach in the UK thinking about joining YESsoccer in the US? Do it. You will enjoy every minute of your time here from working with some great coaches to coaching some incredible young athletes. You will also get the opportunity to travel and see the country and the sights it has to offer but ultimately It is what you make, it can be a once in a lifetime opportunity or become a career choice you will never regret. What differences are there between coaching players in England and the US? When talking about ability for me there is no difference, as a coach for YESsoccer you get to work with players of all ages and abilities, just like the UK you could be working with a group of elite high school or academy players or with a developmental group of U8s. in my opinion the noticeable difference comes down to personality, many kids in the USA play a great number of sports from soccer or baseball to football and lacrosse, and with this comes a high level of competitiveness and determination at the student athletic level this becomes more apparent as they progress through middle school and into high school where the level of sport can become incredibly competitive. 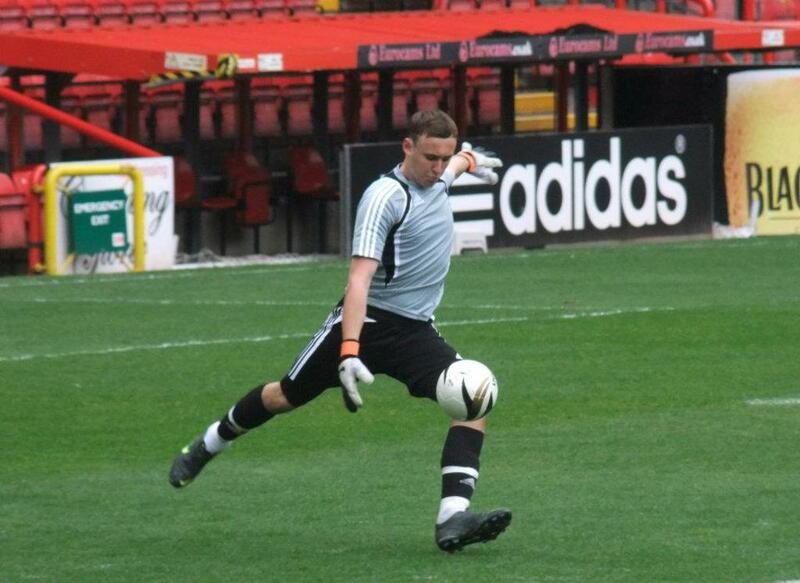 Since I could remember I have had a passion for soccer, as I got older it became apparent that I was not good enough to play at the level I wanted to, and there is not a lot of room in the game for a goalkeeper who is only 5ft10’’. Fortunately I had been involved with coaching a few local teams from a young age and enjoyed the experience, from there I caught the coaching bug looking to inspire the next generation of soccer players. For me it was not always about creating the next David Beckham or Steven Gerrard you work with the players you have and help them play to their strengths whilst helping them to identify and work on their weaknesses and most importantly about creating an environment for kids to fall in love with the beautiful game. 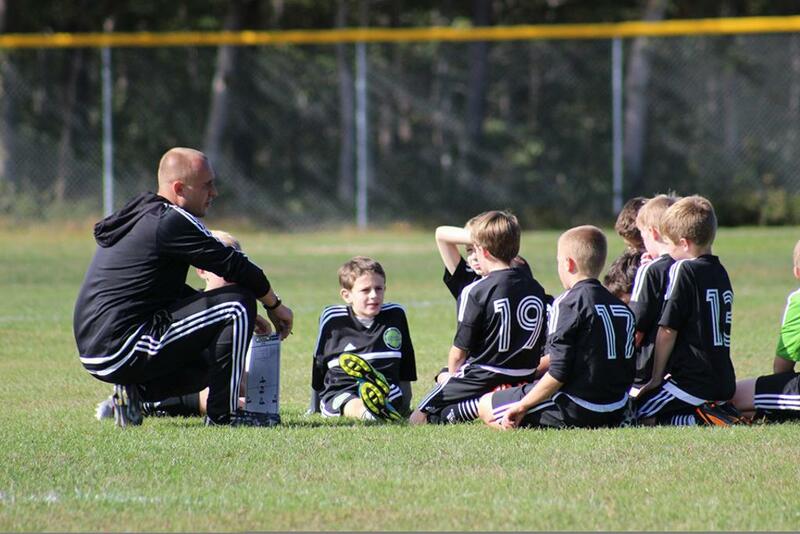 What do you remember most about one of your coaches when you were young and playing soccer? I have one very fond memory as a kid playing soccer, from the age of 7. Coventry City Football Club would run camps at the local high school. My favorite coach was coach Ray, he had a great way with kids and played a very big part in me choosing to play soccer. I remember playing the American style PK shootout where you have 5 seconds to score from the half way line 1 on 1 with the keeper at the end of every day. Who has been the biggest influences on your coaching style and career? Who are your heroes? It’s difficult to name just one as a coach you take in so many thing from so many people and especially in the early stages your style changes a lot until you find what works best for you. I can however name three coaches who have shaped me the most along my coaching pathway. My father had a large effect on me from a young age as I am sure most fathers do when they coach their sons team, he helped me to understand from a young a age the meaning of team work and how to organize and maintain a team throughout a season from a grassroots level. My second and third influences both come from the same Club, The Strachan Football Foundation. Dan Elliot the education officer and co-founder of the club helped me to realize my potential as a player and as a coach and installed in me the self-belief that what I was doing was correct and not to doubt myself as he did with all the young athletes who stepped into the program, Dan and the SFF helped me to understand that I could coach full time in the USA. Finally, the coach with the biggest influence on my coaching style goes by the name of George Mackie. The majority of my coaching experience up to joining the SFF had been with kids between the ages of 5 and 11. George helped me to understand the game on a far deeper level and introduced me to what is expected from a top-level coach and the demands of the players. Most importantly I now understand how to create a professional hardworking elite team environment that pushes players to reach their playing potential but also growing them as young adults, and help them to understand all the possibilities that can come from the game of soccer.